Avian enthusiasts better take note of this one! Jurong Bird Park never fails to pull out all the stops with its fun exhibits, engaging shows and of course, its charming feathered residents. The African Waterfall Aviary is the world’s second largest walk-in aviary and has housed species like the hoopoe & turacos. The Dinosaur Descendants section often sees flightless birds such as ostriches, emus and rheas huddle together. On visiting the South East Asian Birds Aviary, one observes a stimulated noon thunderstorm which is followed suit by a light drizzle. 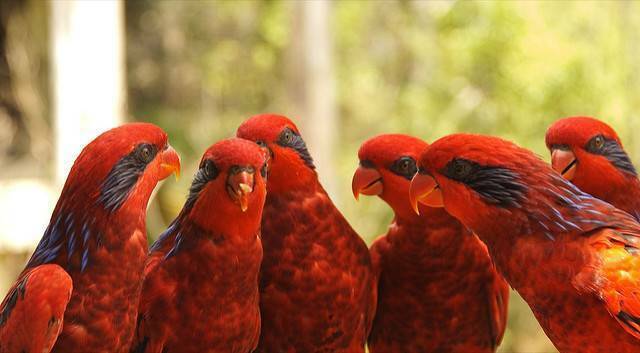 The 9 storey Lory Loft is a walk in flight aviary allowing visitors to feed a special nectar mix to its main residents, lories and lorikeets. The Penguin Coast is an indoor climate controlled den which also serves as the home of penguins, gulls & cape shelducks. The nocturnal bird section aptly named World of Darkness gives one a glimpse of their lives by using reverse sleep cycle. Greet various pelicans at the Pelican Cove. Friendly shows put up at the zoo include King of the Skies, Lunch with the Parrots & High Flyers Show. The bird themed water playground named Birdz of Play is a hit amongst children. Regular food feeding & overnight camping sessions are often organized by the zoo.